William John Paul “Liam” Gallagher (born 21 September 1972) is an English musician, singer, and songwriter. He rose to fame as the lead singer of the rock band Oasis, and later as the singer of Beady Eye, before surprisingly performing as a solo artist after the dissolution of both previous bands.His erratic behaviour, distinctive singing style, and abrasive attitude have been the subject of commentary in the press; he remains one of the most recognisable figures in modern British music. 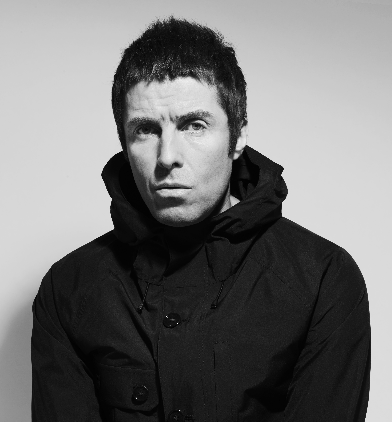 Although his older brother Noel wrote the majority of Oasis’ songs, Liam penned the singles “Songbird” and “I’m Outta Time”, along with a string of album tracks and B-sides. Noel departed Oasis in 2009 and formed Noel Gallagher’s High Flying Birds, while Liam continued with the former members of Oasis under the Beady Eye name until they disbanded in 2014.